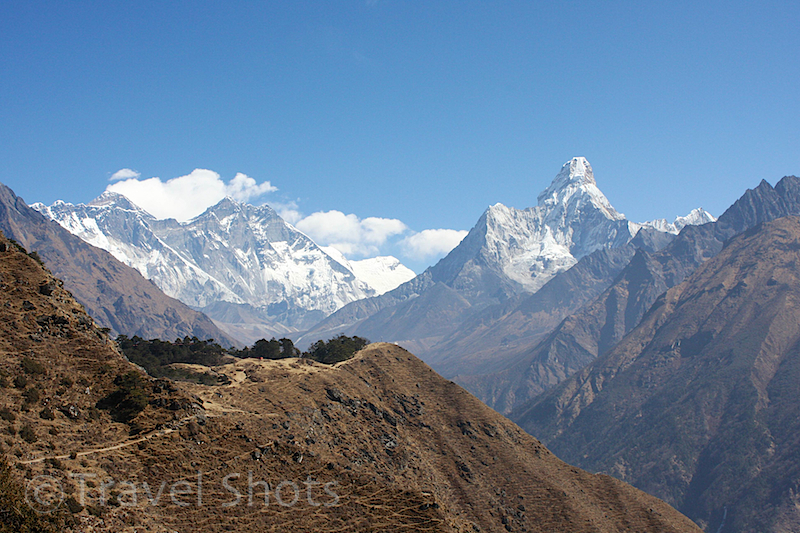 At 6,812 metres (22,349 ft), Ama Dablam is a bit of a baby in the ‘big mountain’ stakes but I like it because I like saying it. Try it. It rolls off the tongue and the faster you say it the better it sounds. 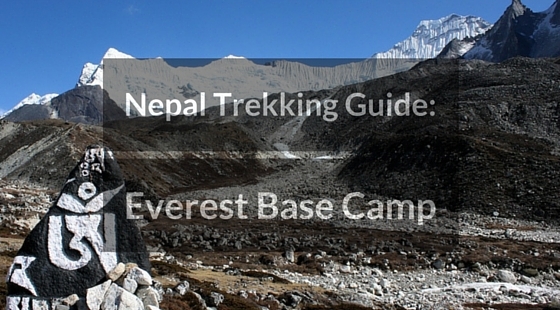 Ama Dablam can be seen on most treks in the Everest region. More commonly known as Fishtail, at 6,993 metres (22,943 ft) Machapuchare is nearly as well-known as Mount Everest but unlike its more famous counterpart, it is sacred and so off limits to climbers. 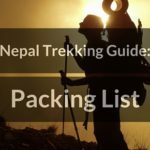 Sticking out like a sore thumb, nothing more than an early morning wakeup call and a 30-minute drive to nearby Sarangkot Hill is required in order for a spectacular view although, of course, trekking into the Annapurna National Park will reward you with even better vistas. With Kyanjin Gompa (monastery) at its base, Langtang Lirung looks every inch the classic mountain and for that reason alone should be in the top five. 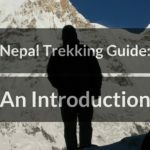 It can be seen on the Langtang Valley trek but keep that to yourself as this is one of the best treks in Nepal and we don’t want the world knowing that, do we? Just for consistency, it stands at 7,227 metres (23,711 ft). 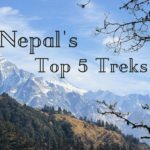 Let’s face it, all five of the Annapurna peaks (South plus the imaginatively named I, II, III and IV) are pretty fine mountains but it’s this one that draws you in as you make the long slog up to Base Camp. 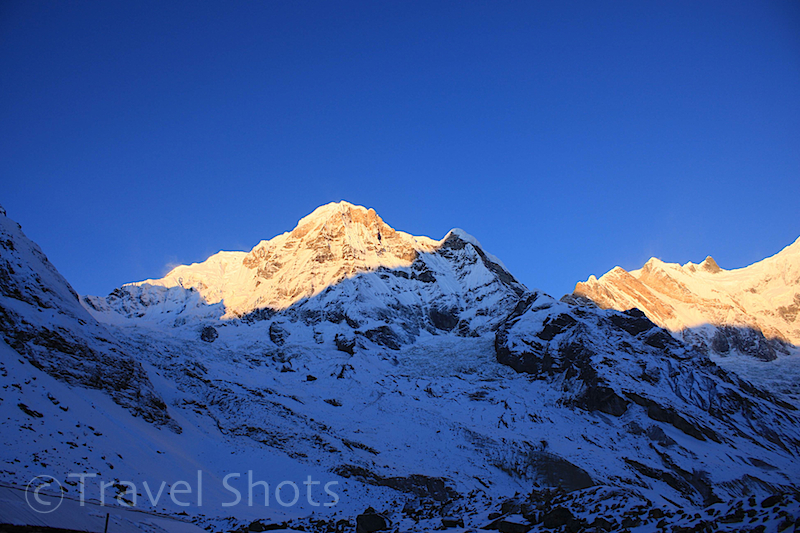 It’s also Annapurna South that gets the first rays of sunshine at 6 o’clock in the morning and makes the struggle to get out of the sleeping bag worthwhile. At 8,091 metres (26,545 ft), it is also the highest mountain in my top five. 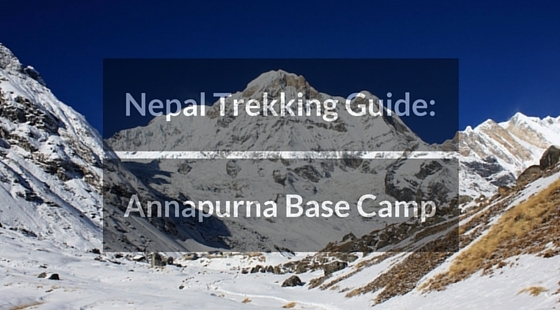 Early January at Annapurna Base Camp; was this the coldest I have ever been? I think the answer is definitely a big fat ‘yes’. OK, so I’m not exactly telling the truth when I say ‘in no particular order’. This is the one, the ‘daddy’, the ‘top dog’, ‘numero uno’. Why? I don’t know if I am being honest, but the realisation of a twenty-year obsession a few years ago did not result in disappointment. At 6,638 metres (21,778 ft), Kailash is another sacred mountain and when I say sacred, I mean sacred. We are talking Hindus, Buddhists, Jains, Bonpos and probably half of the world’s population of hippies and it goes without saying that climbing it is a big no-no. It’s a pig to get to and involves a lot of expense (thank you Chinese Government) but if you ever get the chance then take it. One last thought: in the photo does anybody else see Darth Vader wearing a helmet or is that just me? A bonus, and technically not a mountain, but nonetheless Gosaikunda Lake is a stunning Alpine Lake that deserves a mention and a pretty picture. 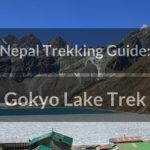 Yet another sacred place, the lake is easily combined with any trek in the Langtang region and has one of the most serene settings in the Himalayas. 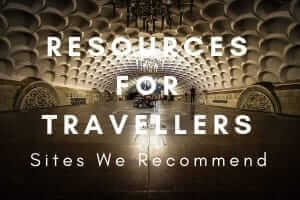 Do you have a favourite mountain? Which one and where is it?